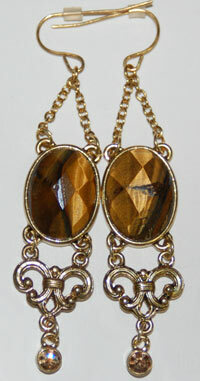 Topaz Dangle Earrings in beautiful metal, gold tone setting. Stones are acrylic. French hook wires for pierced ears. 3.5 inches from top to bottom of dangle earrings.